"My worst moment was when an investor blatantly invited me to visit his hotel room to discuss a potential deal," says Gemma Lloyd, co-founder and CEO of Work180, a jobs network and recruitment platform for women in the workplace. "Female entrepreneurs still get a raw deal from investors, with discrimination taking different forms," she adds. Given that two-thirds of women feel they've not been taken seriously by potential investors when raising money for a new venture, according to IW Capital, and that just nine percent of UK start-up funding goes to women-run businesses, Lloyd must have a point. 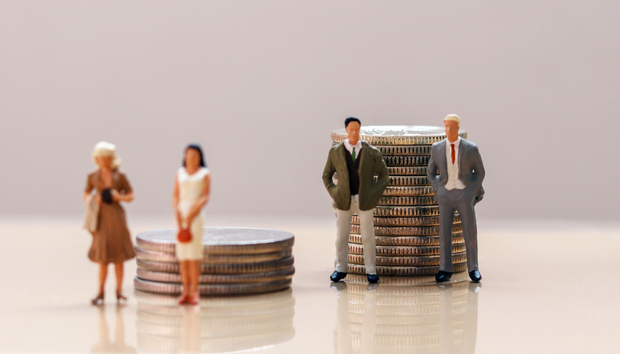 In February, research firm Pitchbook found that women took home close to 1p in every £1 of all start-up funding last year. "Then there's the less obvious discrimination," continues Lloyd. "One time, after presenting to an investment firm, one of the investors rang me up afterwards to apologise when he realised that I'd had been subjected to a tougher round of questioning compared to the male founders that had presented to them on the same day. I was completely unaware at the time of the unconscious bias I was being subjected to, so it begs the question, how many other times did this happen to me and are other female founders being treated in the same way without their knowledge?" The short answer is yes. Kim Nilsson, founder and CEO of Europe's biggest data science hub, Pivigo is one of many similar stories. Like Lloyd, discrimination for Nilsson has manifested through stereotypical perceptions of her as a woman and the way in which she presents. Woman first, entrepreneur second. "You operate in a bit of a minefield when pitching to investors," she says. "If you are too bullish and confident, then you are perceived as naïve or aggressive, and if you are too conservative, you are deemed to have low levels of confidence, both of which will prevent you from receiving investment. You also very quickly get accused of being "emotional" in your communication and decision making. All this can make you can feel as though you are walking a tightrope, trying hard not to be your authentic self in order to get your business funded."